A Kart Race Track conversion into a medium sized race track. 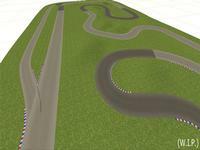 Permanent race track based in Lebanon. There will be a few addition added by me to give it a real racing track feel to it like Spectator fans and a few other things. Done completely in BTB. More info as i work on the track.